NEWSLETTERS To be kept informed, why not sign up to our newsletters, you will be the first to be told or all our events and news about our club. When: Saturday 3rd Nov 2018 Where: Waterside Gardens, Oughtibridge S35 0JS Headline act: Replays Other Attractions: •Live Music by Replays. •Outside Bars. •Great Food. •Children's Rides. •Funfair. 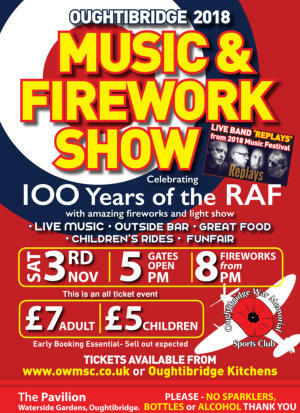 Celebrating 100 Years of the Royal Air Force. 2018, the Royal Air Force celebrated its 100th birthday. To mark this occasion, we are setting the theme to our Music & Firework Display to reflect on our history and our achievements. 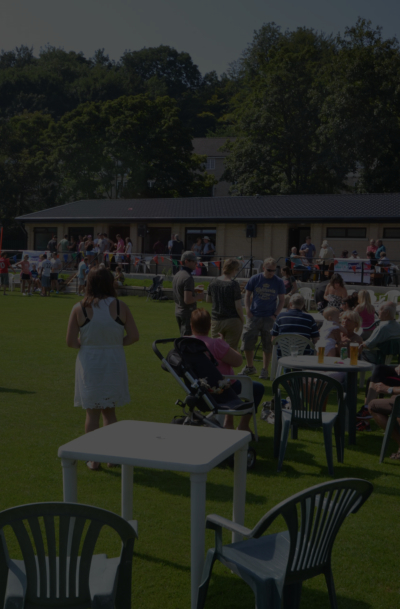 We also celebrated the work the RAF is currently doing and look forward to the next 100 years : All taking place at; Oughtibridge War Memorial Sports Club. TICKETS ARE ON SALE NOW We have a strict policy of no alcohol allowed to be taken in the venue. please see terms and conditions for other restrictions that may apply. Book early to secure your tickets ON-LINE TICKET SALES HAS NOW CLOSED. YOU MAY STILL BE ABLE TO BUY ON THE GATE IF NOT SOLD OUT.